Who could resist these beautiful fish that were just pleading to be decked in shining metal threads and accented with beads. 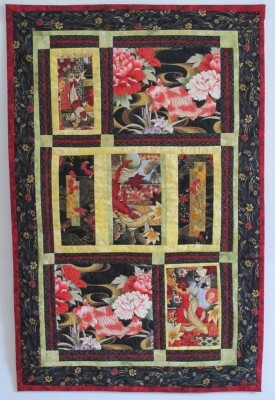 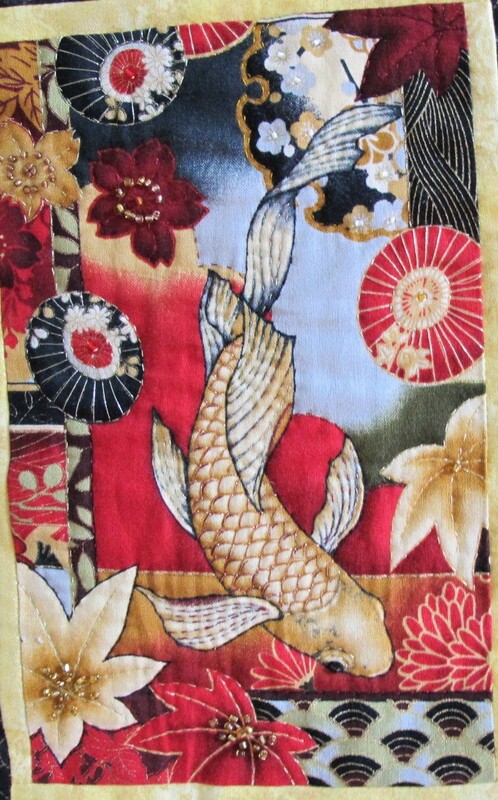 Beautiful koi prints framed in golden yellow and chartreuse green with edges in black, gold and burgundy. 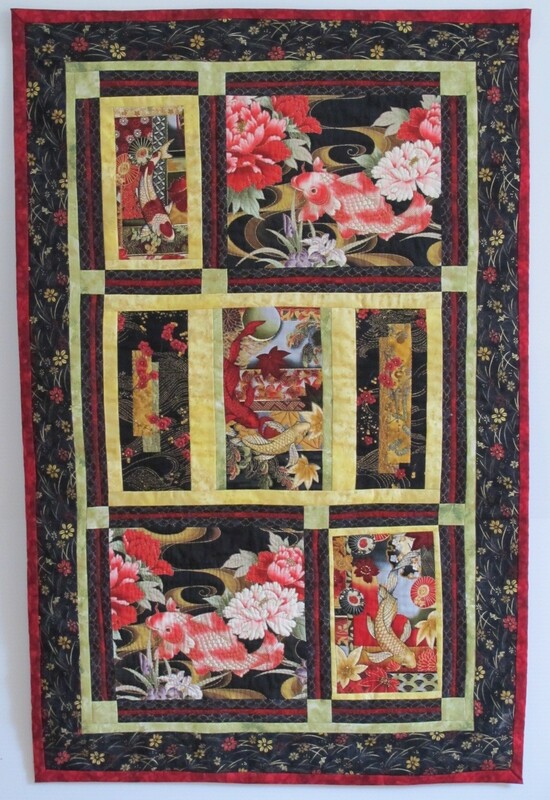 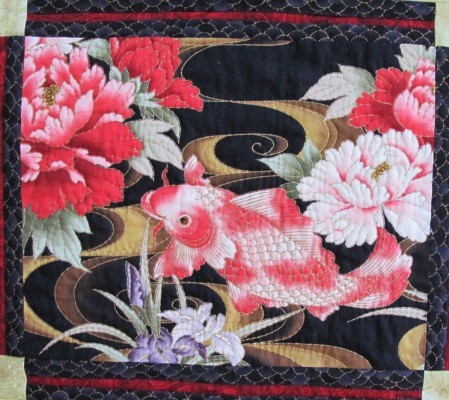 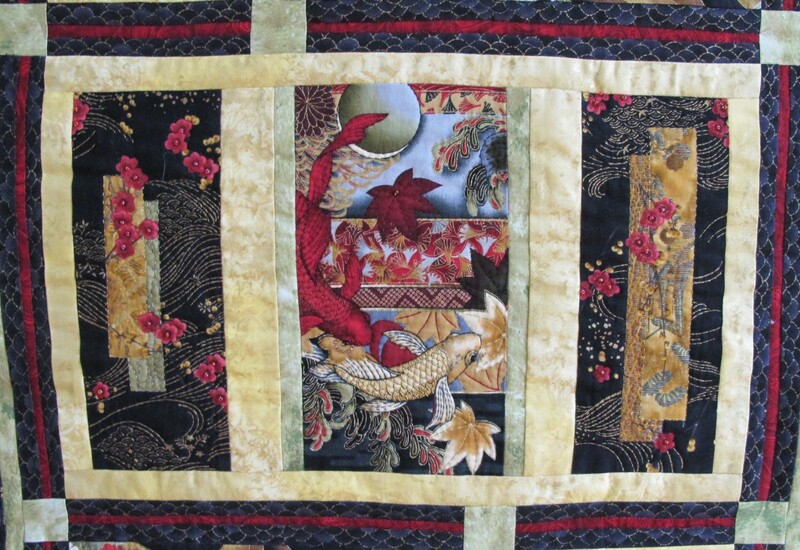 The koi are intricately quilted with metallic threads and the floral sections are embellished with bead work.